I would make it a rule to eradicate from my patient any strong personal taste which is not actually a sin, even if it is something quite trivial such as a fondness for country cricket or collecting stamps or drinking cocoa. Such things, I grant you, have nothing of virtue in them; but there is a sort of innocence and humility and self-forgetfulness about them which I distrust. The man who truly and disinterestedly enjoys any one thing in the world, for its own sake, and without caring two-pence what other people say about it, is by that very fact forearmed against some of our subtlest modes of attack. It was its colour—actually, the lack of it—that first caught my attention. A dull brownish purple, the ugliest colour I could imagine. 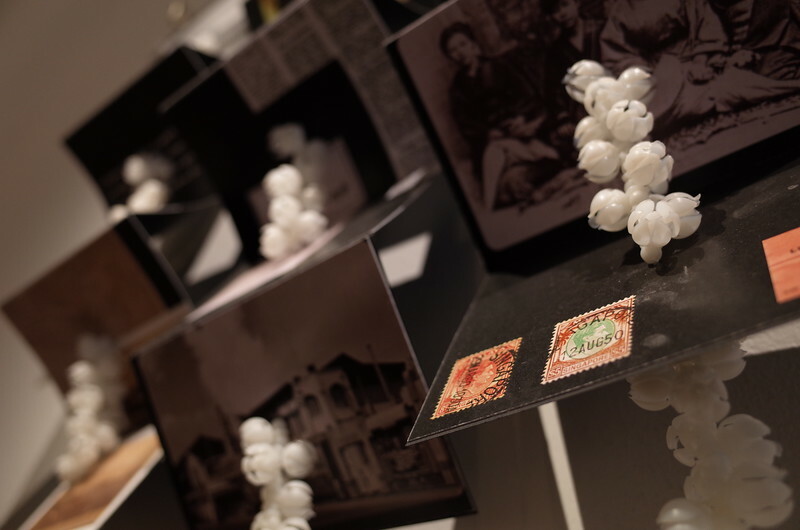 It sat demurely amidst a riot of bright reds, greens and blues on small rectangular pieces of paper, in a large book titled "Stamp Album". My first coconut stamp. Actual height 25mm. Back then I could not tell what made it such a pleasure for my eyes compared with its neighbours, but now I know that it was the Mac OS X of the stamp world—designed, not "put together" as a computer engineer once said to me about Windows. Many of the others on the page, with their cluttered content, awkward distribution of mass and jarring colours, certainly looked as if they had been "put together". There was something else unusual about my stamp. When I held the page close to my face, I noticed that the colour and pattern on the stamp were made up of fine lines, which I found incredibly elegant. The grown-up stamp collectors, as I would learn later, refer to stamps printed before 1900 as "classics", but for a high-school kid checking out his mom's amateur album, this 1949 piece was the "classic". But the real epiphany was yet to come. 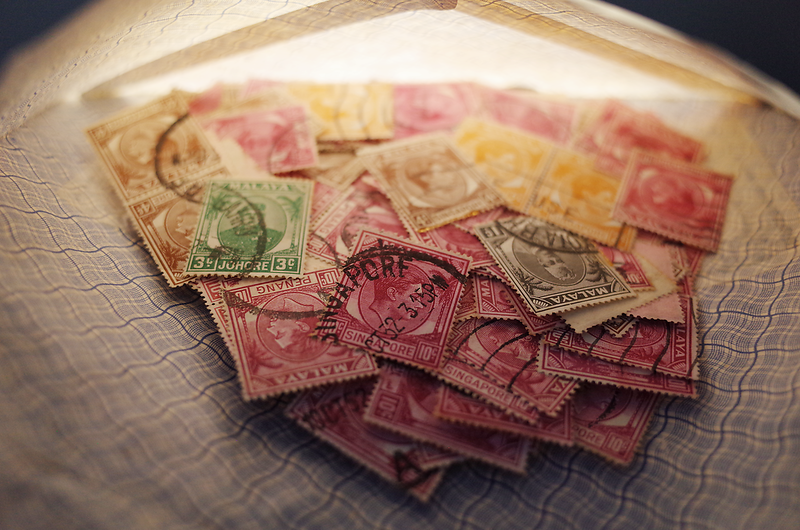 One day my grandfather, hearing of my interest in postage stamps, brought out a small cardboard box to show me. I peered into it, studying the messy jumble of hundreds of stamps from different countries. Suddenly, my eyes spied a coconut tree. Then another, and another, and another, peeking out from underneath other stamps. 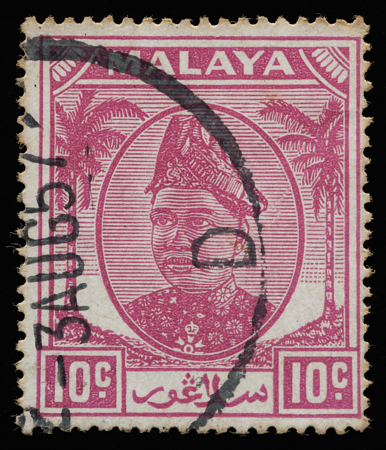 It was then that the revelation hit me, that the coconut stamp exists in more than one colour—in fact, in every colour of the rainbow—and carries the charming portraiture of as many different sultans and monarchs. It was a feast for my eyes. Fascination with my favourite stamp shot up by an order of magnitude. Moreover, I had never seen so many of the beauties at once. Together, they rekindled nostalgic memories of southeast Asian kampongs nestled in the midst of idyllic coconut trees swaying in the breeze. My father grew up in one near Alor Star in Kedah, and I was lucky enough to have been brought there once when I was a boy, before it was bulldozed. Legend has it that the flame of passion for the Universal Coconut Duty Plate was lit in this inner sanctuary. My grandfather, seeing how I was taken by the coconut stamps, let a few go with me; I was thrilled. His grandfatherly gesture sparked off a journey of discovery that took me beyond history and geography to architecture, typography and even mathematics and chemistry. 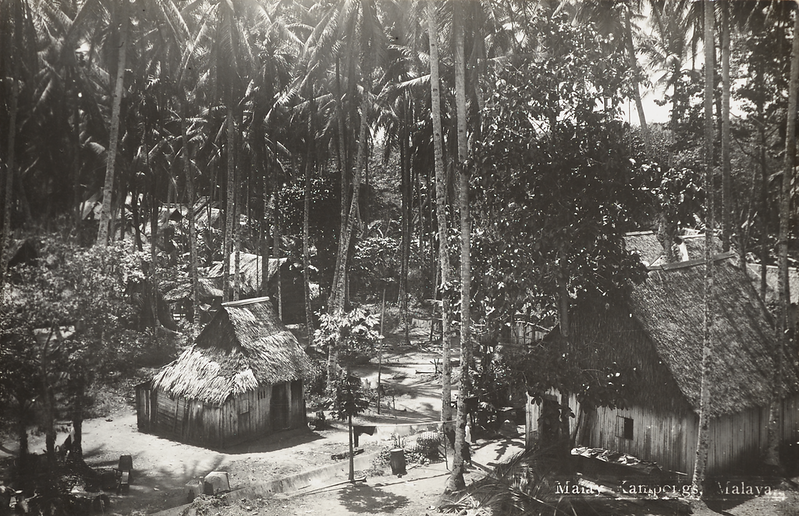 Treasures await the coconut hunter, be it a rare coconut error, notorious coconut forgery, obscure coconut oddity, or an innocent coconut with a pretty postmark. On the hunt, you might visit distinguished auction houses in London and other capital cities, where raising your hand means declaring war with smartly dressed men—many are senior company directors during office hours—who bid lofty sums for the rare die proof or double overprint. Or venture into a little shop in the basement of a Soviet-era shopping centre in Singapore, its air-conditioning permanently tainted with the odour of cigarette smoke, where common "peasant" stamps huddle together in stockbooks for less than a dollar apiece. One of them might take your fancy, whereupon she would be picked up with a pair of tweezers and taken to a new home and an uncertain future, not unlike the concubines of imperial China. If she is lucky, she will live in comfort and luxury in a climate-controlled room, and sleep in a bed with acid-free and lignin-free sheets. 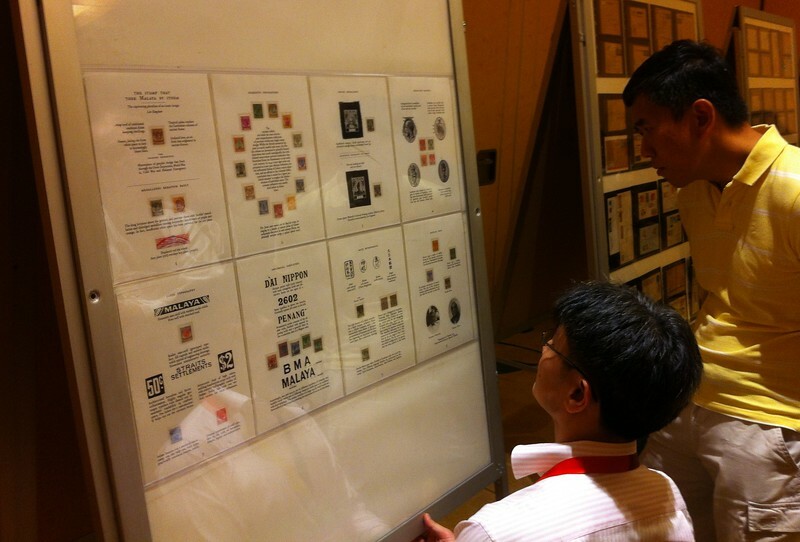 The author's coconut display at the 2015 World Stamp Exhibition in Singapore. Then there's the voodoo of eBay. Gently tap a few times on a slab of Gorilla Glass wherever you are—in the bus, in the toilet—and someone somewhere on the planet—it could be the United States or Venezuela, Hong Kong or Pakistan—will mail you coconut stamps packaged in a stiff envelope and layers of clear plastic film. In 2018, I took a set of bicoloured coconut definitives on my railway odyssey from Saigon to Scotland via Pyongyang, and gave them as gifts to my guides in North Korea. And like the fetishes carried around by native tribesmen of the Congo for protection from evil spirits, or biological relics from saints and buddhas enshrined in cathedrals and temples, the image of the coconut seems to radiate an invisible, irresistible force—the same force that has held me in its magnetic grip since the day I first saw the coconut stamp.